The only thing worse in life than losing someone you love is watching them suffer. Sarah’s husband Greg was a young man in his forties when he died of a rare cancer of the thymus gland, and their life together was cut short. Left with three little girls who were two, four, and six years old at the time, she had no choice but to carry on as a single mother. It doesn’t seem natural to have to say goodbye to your spouse and best friend when you are still young. Most couples get to grow old together, and to have that time stolen from you is a cruel act of nature. It isn’t fair for little girls to lose their father before getting the chance to dance with him at their weddings. 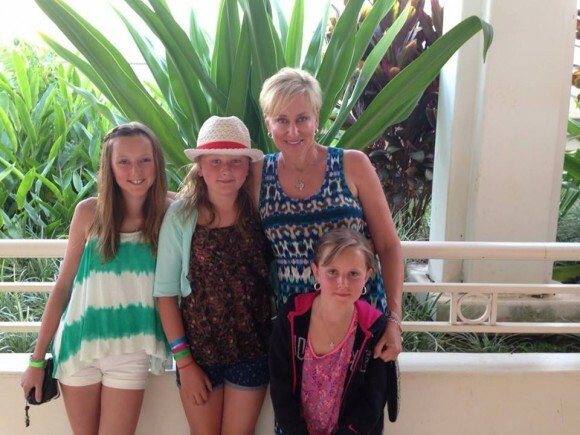 Life is not always fair, and while this has been a cruel lesson for Sarah’s daughters to have to learn, she has made sure they learn kinder lessons in life as well. And she has also made certain that her husband didn’t die in vain. A few years after Greg passed away, Sarah heard about the Rodan + Fields® business opportunity through a friend. She wasn’t looking for anything extra at the time, because being a single mother while still grieving the loss of your spouse was overwhelming enough. Fortunately, Greg had been very responsible with their investments and she wasn’t in financial need. She was even able to give to various charitable causes without hesitation. So when she signed up to be an Independent Consultant with Rodan + Fields, her motivation was to be able to give even more, especially to cancer patients. Last year, Sarah was given the Rodan + Fields Prescription for Change Foundation award. 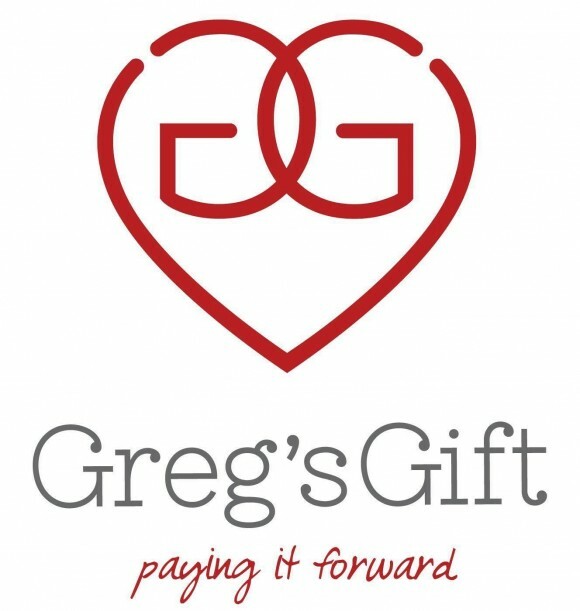 She still donates 100% of her Rodan + Fields business profits to Greg’s Gift, and is teaching her daughters the value and importance of giving. Recounting a story about her daughter watching her view a recent statement for her Rodan + Fields earnings, she remembers her daughter’s question that still beings tears to her eyes today. “When she saw the amount, she asked, Mom, who do we get to bless this month?” Being able to show her daughters what it means to make an impact on someone’s life is an important part of being a good parent. She also wants to set an example for her team, who actively give as well. 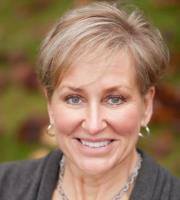 “I have watched my team members do amazing things through this business. I love knowing that they have been able to change their own lives, while helping others along the way.” She is proud of them for all of the little things they have been able to do as well as the bigger accomplishments. They have been able to pay for their children’s tuitions, and even raise the funds to start a school. Her hope is that her own daughters will see that no act is too small when it comes from your heart and your desire to give. Sarah, YOU are a gift to others. I so enjoyed meeting you at our Level V arrival trip for the year of the “Pears!” I was so impressed with your strength and graciousness and vision you had to help others through the grief of your tragic loss. May God continue to bless you and your beautiful daughters as you continue to bless others with your generosity. Sarah, You are an amazing woman and mother. Your story just made me stop and look around and realized how fortunate I am. Best to you and your girls. I recently decided to joined the company in an effort to feel productive and useful in my son’s fight against cancer. I hope to earn money to fund Retinoblastoma genetic testing for families that cannot afford it. Many insurance companies do not cover genetic testing for rare childhood cancers which directly affect the patient’s long term care plan. This blow my mind! Your success with R+F, raising three beautiful daughters and Greg’s Gift foundation are a true inspiration to me! Thank you, thank you for sharing your story! Sarah, thank you for sharing your inspiring story. I am so sorry you lost your husband so young and admire you for using your loss to help others. You are an incredible role model! As I read your story, I realized something I had never thought about before and it has changed my “why.” When my father was diagnosed with cancer in 2006, I was running my own company and was able to spend about 1/3 of my time during the next one and a half years traveling to my hometown to help my Dad and Mom. That’s about 6 months of time! Had I not had the flexibility of owning my own company, I never would have been able to spend that much time with my parents … something I’ll be forever thankful for since Dad died in 2007, one year after his diagnosis. My “why” has now enlarged to include offering the opportunity of entrepreneurship to others so they can have the flexibility to support their families in times of need if the situation arises. If not for your story, this may never have been so clear to me. Thank you. Sarah, you are an amazing, caring, driven, and strong woman and I am so blessed to know you. I know your story, but reading it has given me goosebumps all over again. You are an inspiration to so many of us and a true leader. Your beautiful girls have an amazing role model. Thank you for sharing your story with the rest of the world! You are truly beautiful in so many ways!